Do you know the difference between net calorie burn and gross calorie burn? Tracking how many calories you burn while exercising, or performing any type of physical activity, can be a useful weight management technique (especially when combined with calorie consumption tracking) but if you don't know whether your calorie burn estimates are net or gross, or what the difference is, then you might not achieve the results you were expecting. Typical calorie burn calculators, including those usually built into treadmills, stair climbers, bikes, elliptical machines, etc., provide gross calorie burn estimates, but some calculators provide net calorie burn estimates. Either type of estimate, net or gross, is okay to use so long as you know which one it is and what the numbers mean with respect to your overall caloric balance (read the Calories Explained article learn more about caloric balance). Gross calorie burn is the absolute total amount of calories burned while performing any given activity. It includes the calories that your body burned specifically to perform the activity itself, plus the additional calories burned throughout the duration of the physical activity that your body must continually burn at all times to digest food, keep tissues alive, and support the function of vital organs. The extra calories burned in addition to those required for physical activity are collectively known as your Resting Metabolic Rate (RMR), and they represent the calories that your body would have burned anyway, even if you had just been relaxing on the couch and not performing any physical activity. Try our Resting Metabolic Rate Calculator to find out what your resting metabolic rate is. Now that you know what gross calorie burn is, net calorie burn is easily understood. Net calorie burn, for any given physical activity, is the amount of calories burned only to perform the physical activity, and no more. As opposed to gross calorie burn, net calorie burn does not include calories burned to support your RMR. Let's suppose that you have decided to start a weight loss program to lose 10 pounds over 20 weeks (this is a weight loss rate of 1 pound every 2 weeks). Before starting this weight loss program you performed no regular exercise and you were neither gaining nor losing weight, so you must have been burning exactly the same number of calories that you were consuming. Rather than modify your diet to lose weight, you decide to continue to consume the same amount of calories while increasing your calorie burn through daily exercise. Since there are roughly 3,500 calories in one pound of fat, you decide to run on a treadmill every day until you've burned 250 calories according to the treadmill's calorie burn calculator. 250 calories per day will add up to 3,500 calories, or about 1 pound of fat, every 2 weeks, because 250 x 14 = 3,500. So, according to this strategy you should expect to lose about 1 pound of fat every 2 weeks, right? Wrong. The mistake here, which is extremely common, is that a typical calorie burn calculator on a treadmill provides gross calorie burn estimates. If you run on a treadmill (one that provides gross calorie burn estimates) until it says that you have burned 250 calories, it is not lying, you have in fact burned 250 calories, but a substantial portion of those calories were burned to support your RMR and so they would have been burned anyway, even if you were at home sitting on the couch. They are not calories that can be counted toward weight loss in your overall caloric balance, because they were already being burned before you started your weight loss program (remember, calories are always being burned to support your RMR, no matter what you are doing) and were and are balanced out by your unmodified calorie consumption. You need to figure out what your net calorie burn was on the treadmill and count only this number toward your weight loss goal. For example, to use some actual numbers, let's suppose that you are a 30 year old, 125 lb, 5'5" tall woman. With these measurements you would have a RMR of approximately 1500 calories per day. 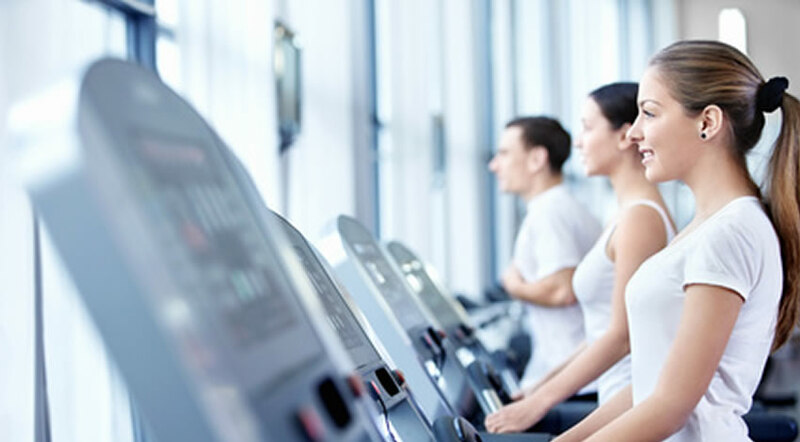 After 30 minutes of running, at about 5.2 miles per hour, a treadmill calorie burn calculator (one that provides gross calorie burn estimates) will show that you have burned about 250 calories. However, since your RMR is 1500 calories per day, while running for 30 minutes you burned roughly 30 calories to support your RMR. Therefore, your net calorie burn while running on the treadmill is about 250 - 30 = 220 calories. As a result, you have a caloric balance deficit of 220 calories per day, instead of your originally anticipated 250 calories per day, and you should expect to lose roughly 8.8 pounds over the course of 20 weeks, instead of the 10 pounds that you were hoping for. My name is Jordan Daley and I'm a former Certified Fitness Consultant and Personal Trainer. This site is something that I work on in my spare time. Take a look around, I hope you find something you like. If you have any questions or comments, please feel free to contact me, I'd love to hear from you.